Loving this amazing laundry room upgrade from Rustic Charm Creations, our June 2016 Retailer of the Month! 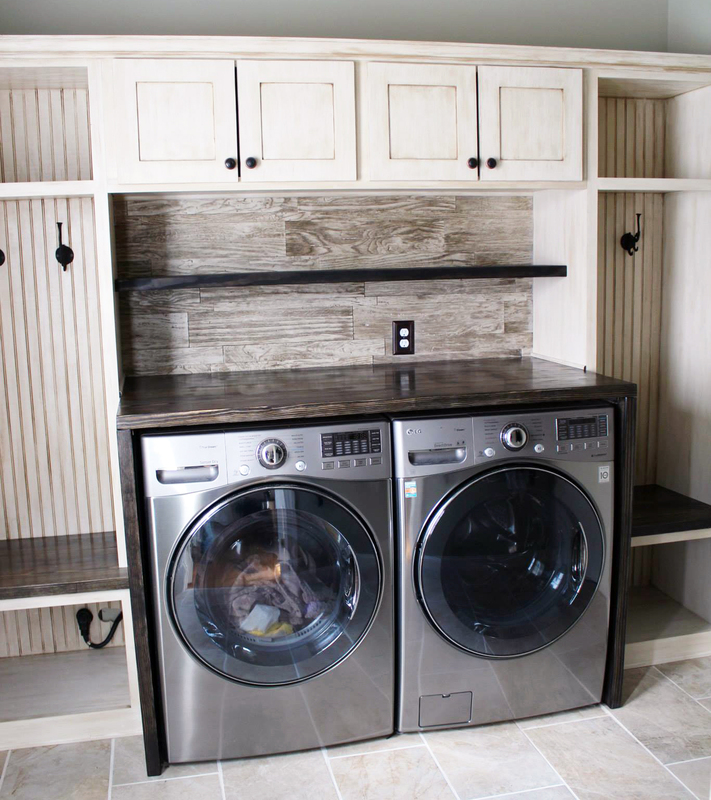 "We transformed this plain non-functional laundry room into a dreamy laundry/mudroom. The custom solid wood cabinets were handcrafted to fit perfectly in the client's space. We painted the cabinets in General Finishes Antique White Milk Paint using a professional-grade airless paint sprayer. I added some rustic charm by glazing the cabinets and highlighting the lines of the beadboard backing with General Finishes Van Dyke Brown Glaze Effects. We also handcrafted a custom farmhouse style 1.5" solid wood top wrapping the washer and dryer and as a bench seat for the lockers along each side. The solid knotty pine was stained in General Finishes Walnut Water Based Stain and sealed with General Finishes High Performance Top Coat in a Satin Finish."